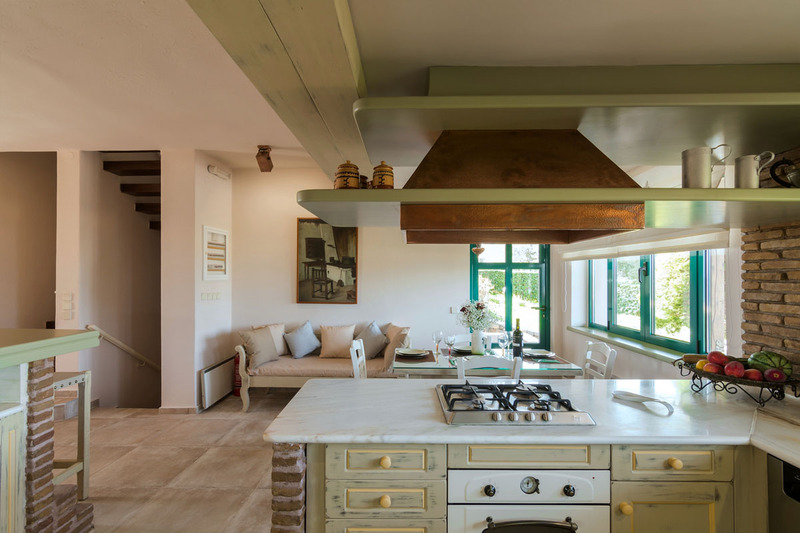 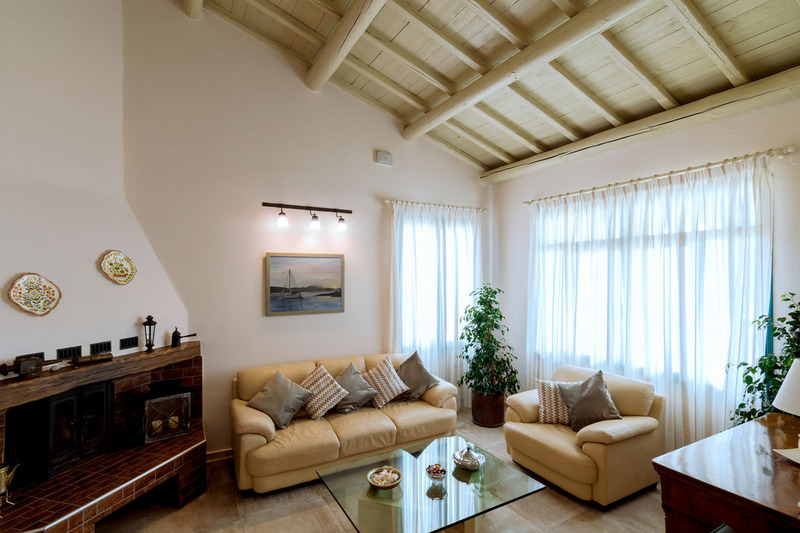 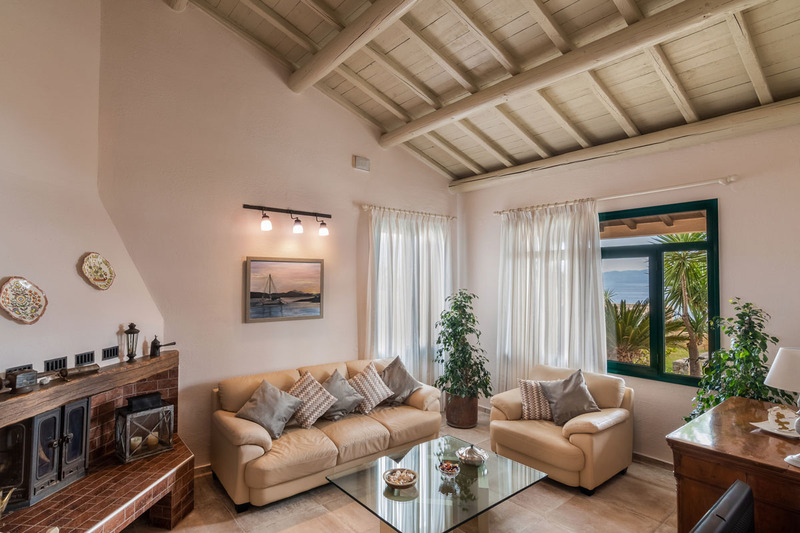 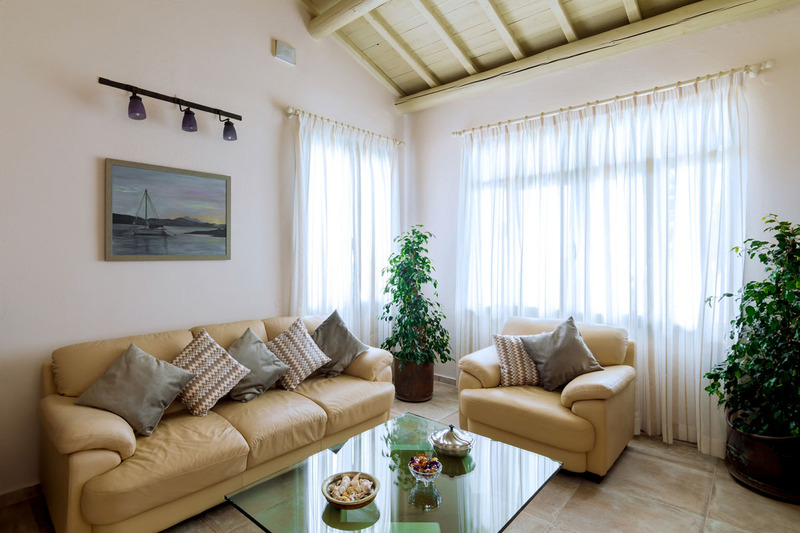 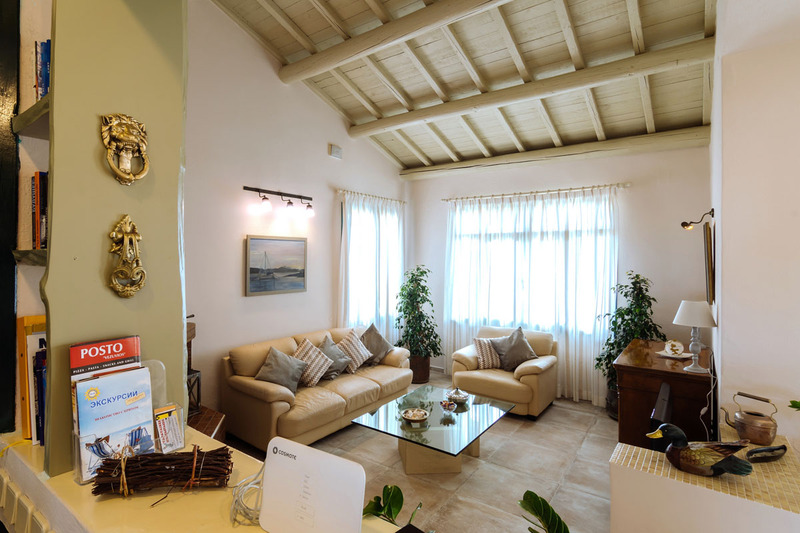 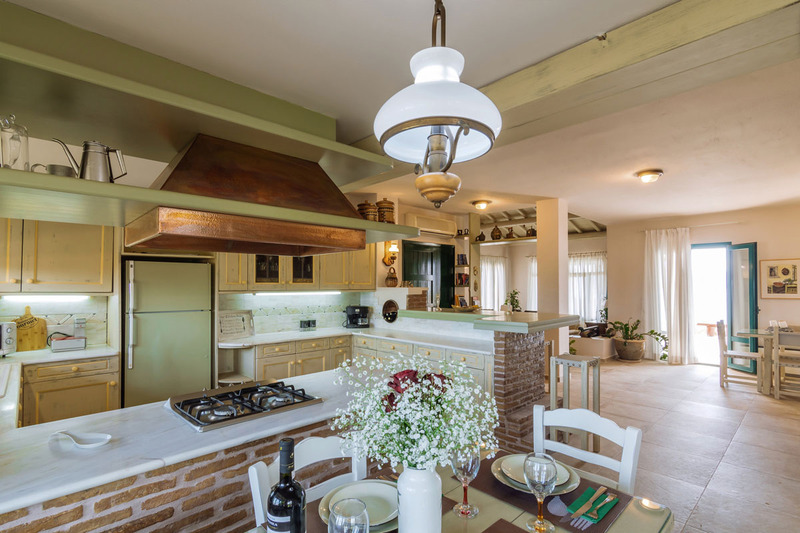 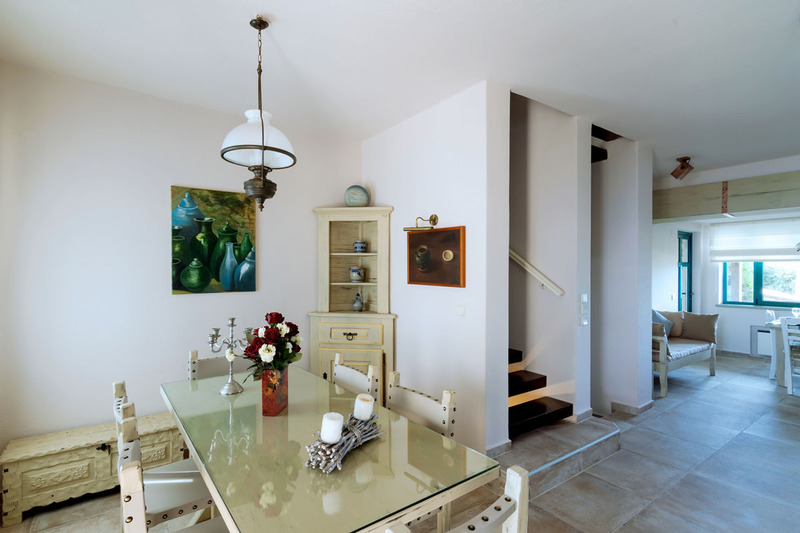 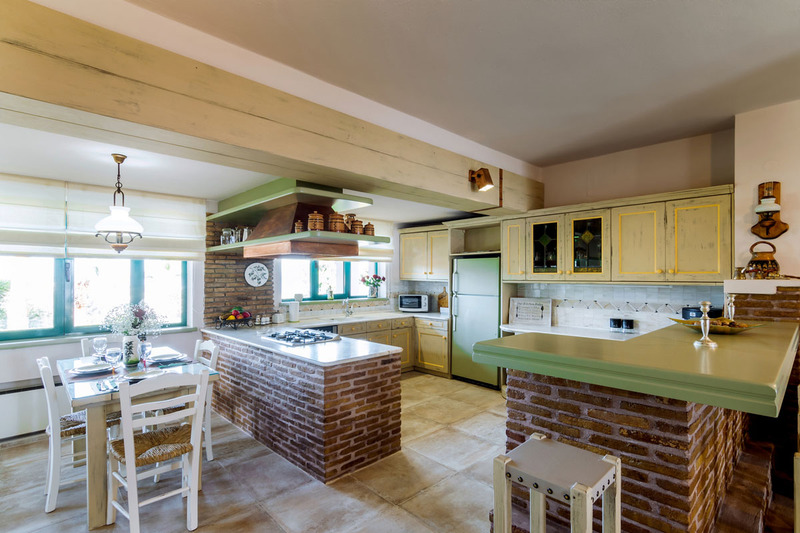 On the ground level of Villa Aqua is the living room wich features a fireplace, a separate dining room and a spacious open plan kitchen equipped with all the cooking facilities. 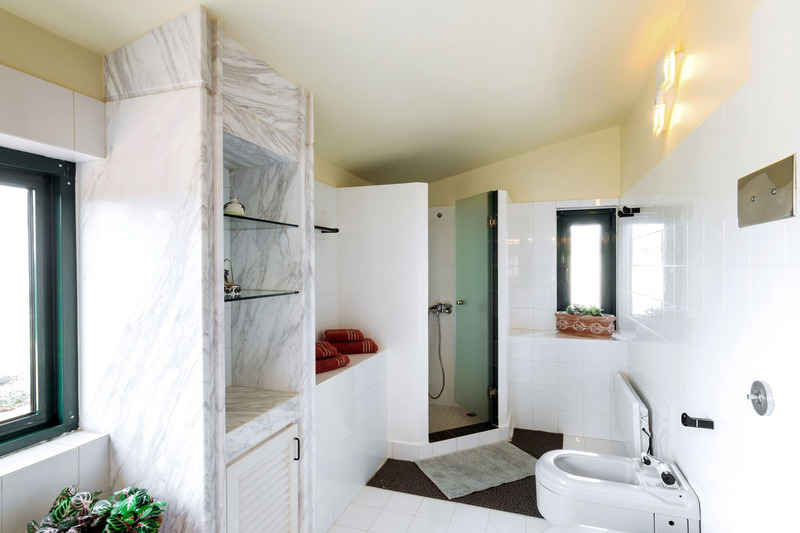 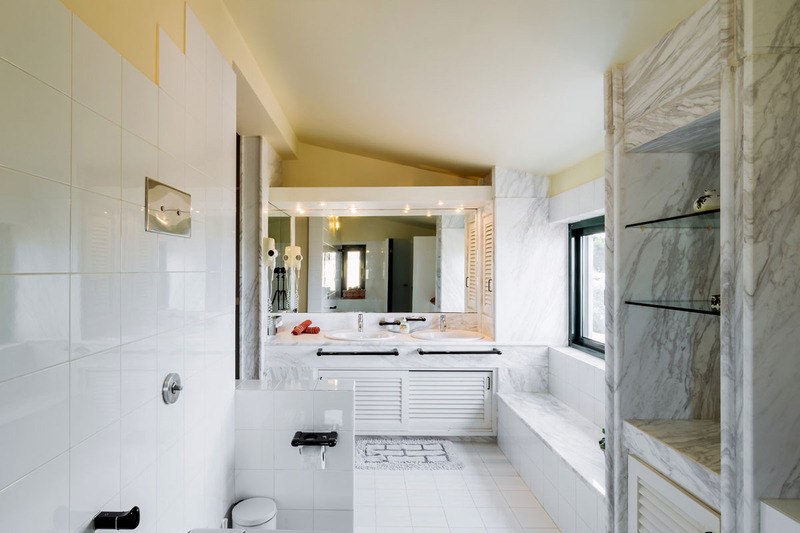 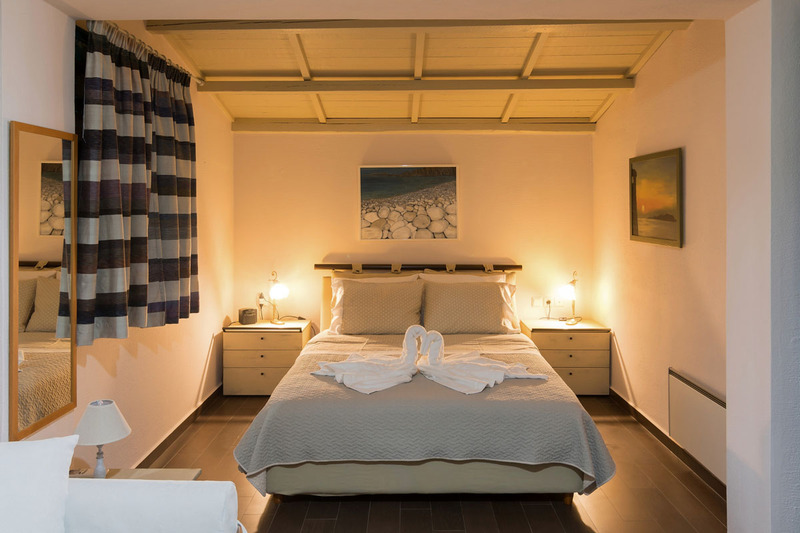 On a three step lower level you`ll find a twin/double bedroom ensuite with a bathroom with a shower and a terrace. 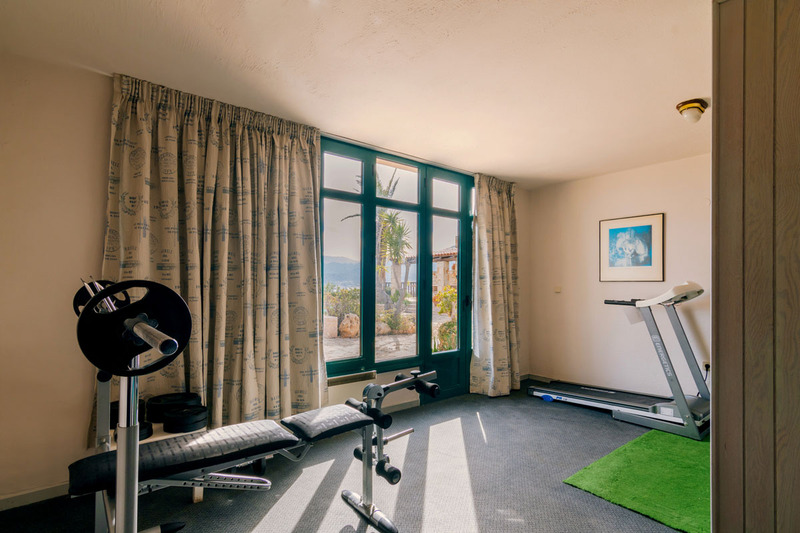 This floor also has a gym and a steam bath (hamam). 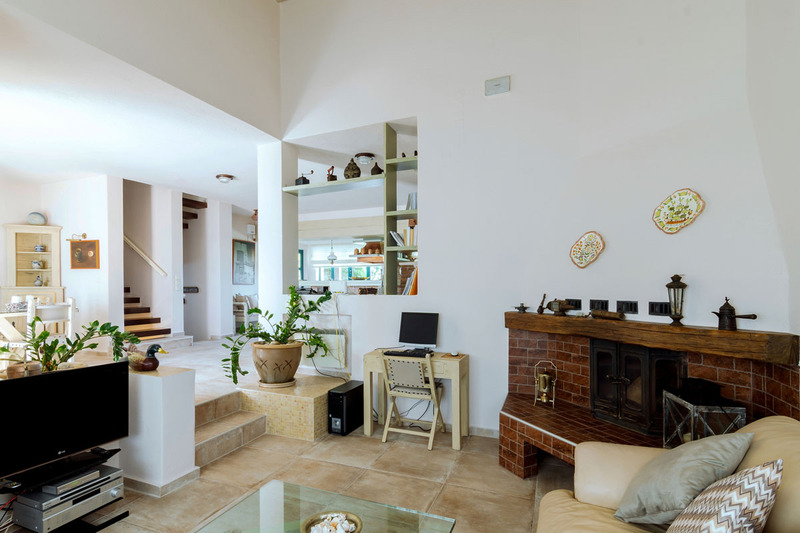 The upper level consists of two more bedrooms. 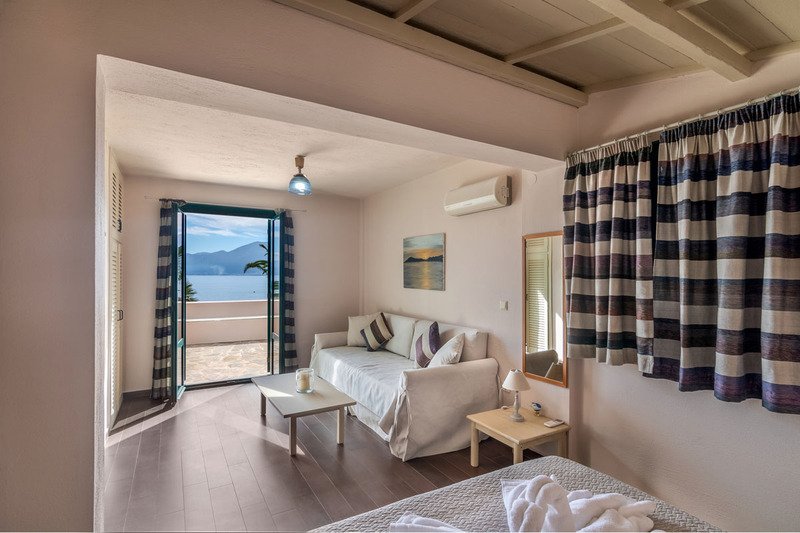 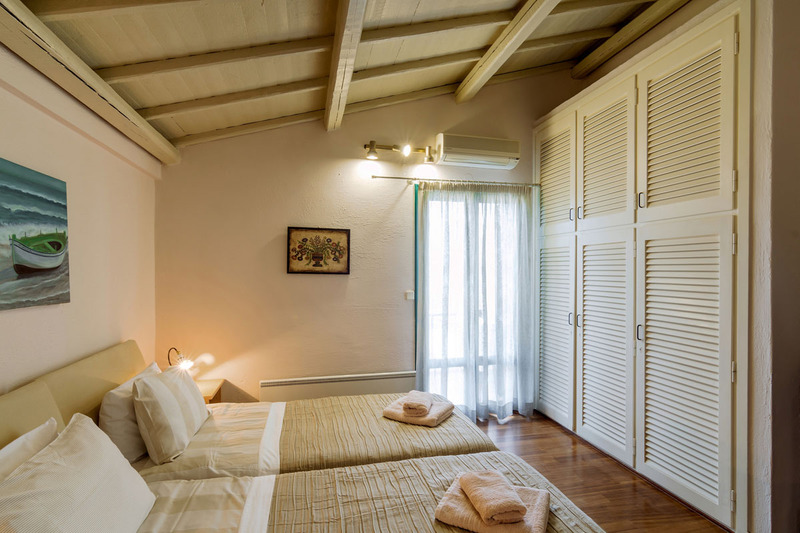 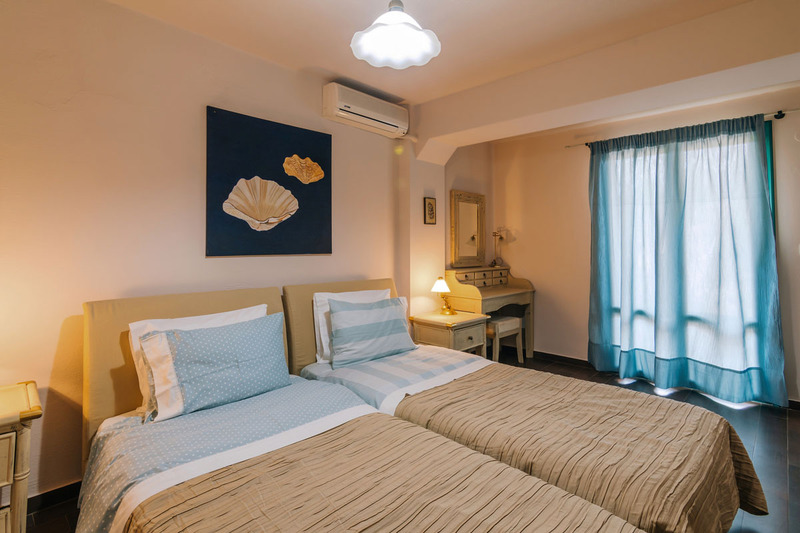 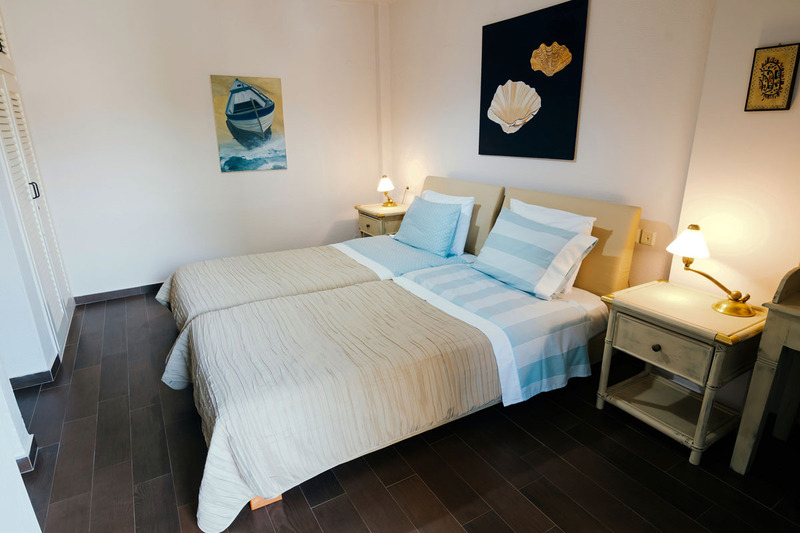 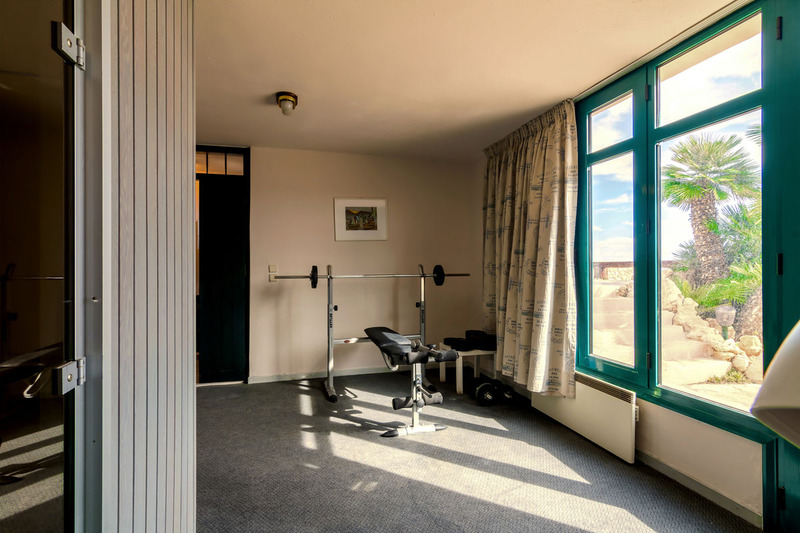 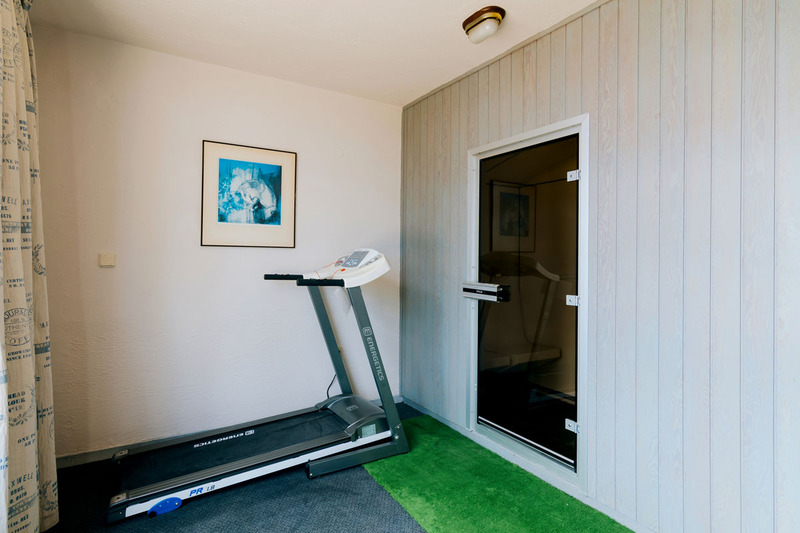 A double bedroom with its own bathroom with a tub and one with twin beds (that can join to form a double) en suite with a bathroom with a shower. 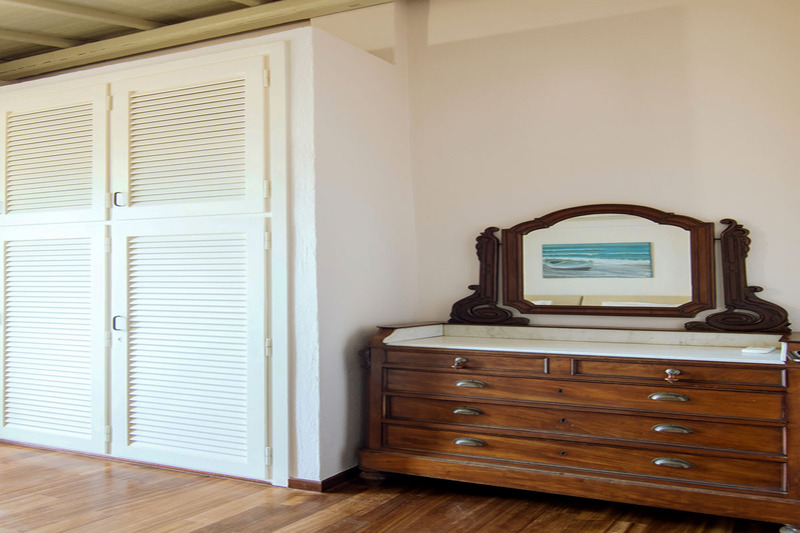 Both rooms have verandas. 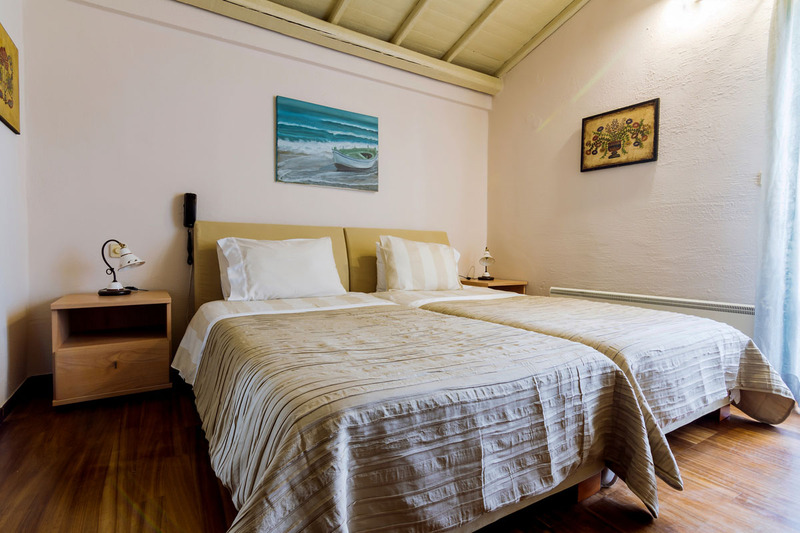 A sofa bed in the double bedroom can accommodate one extra guest if required. 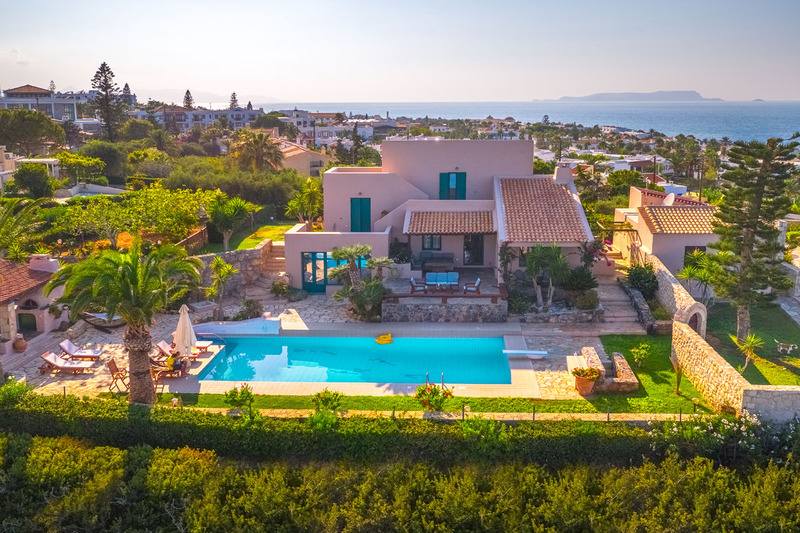 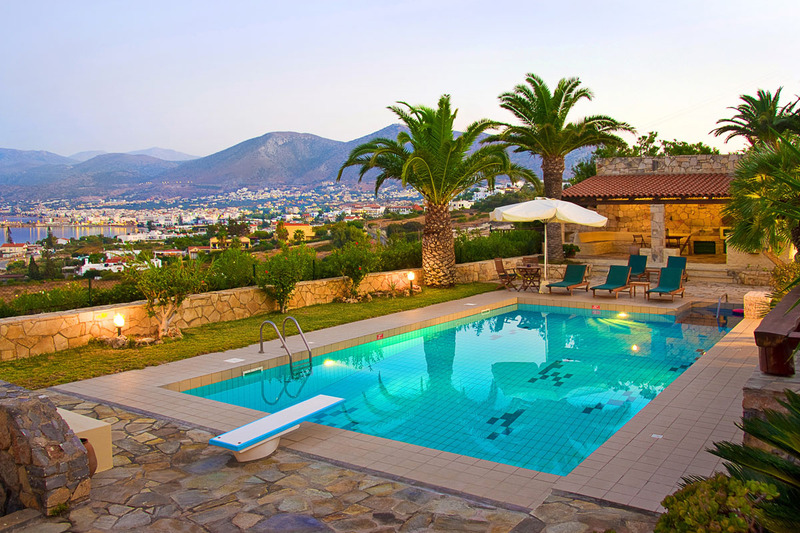 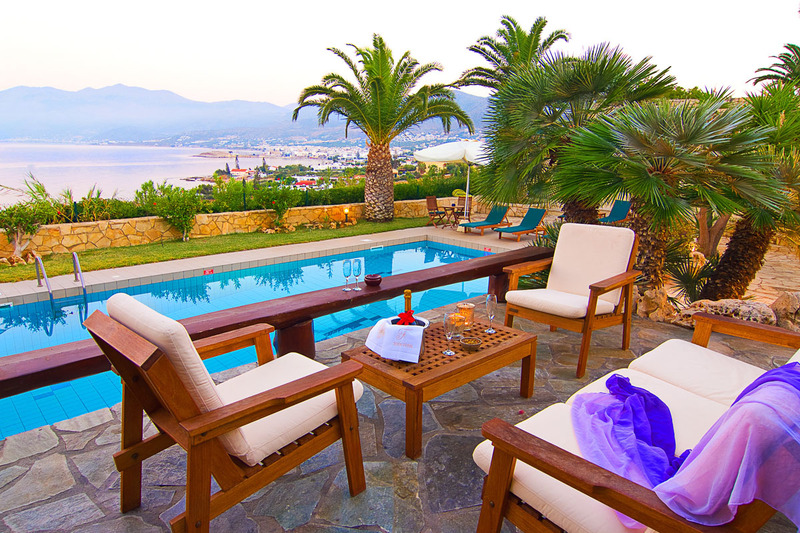 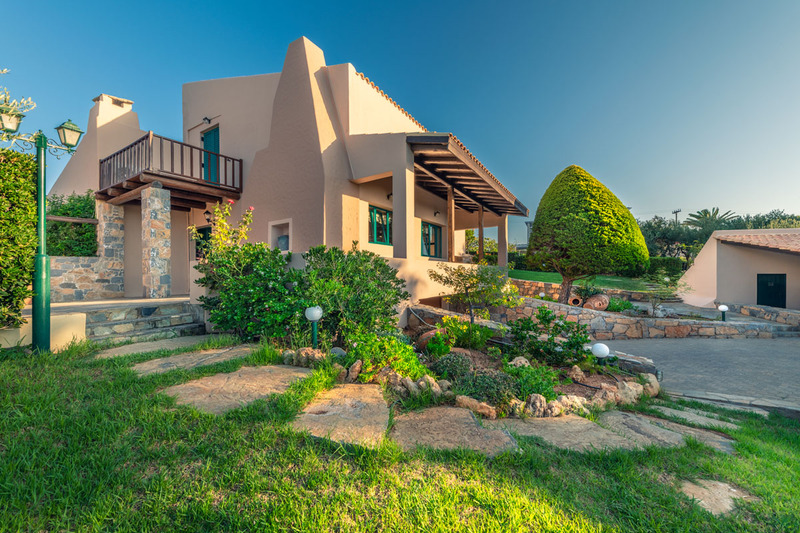 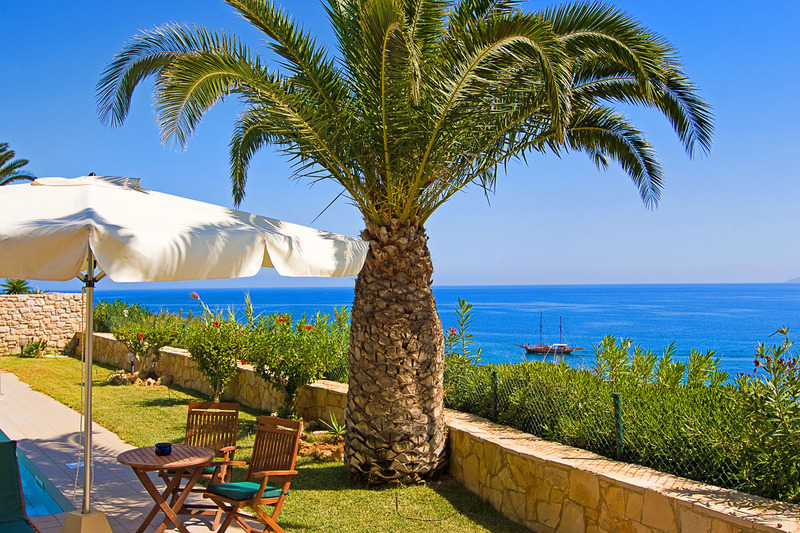 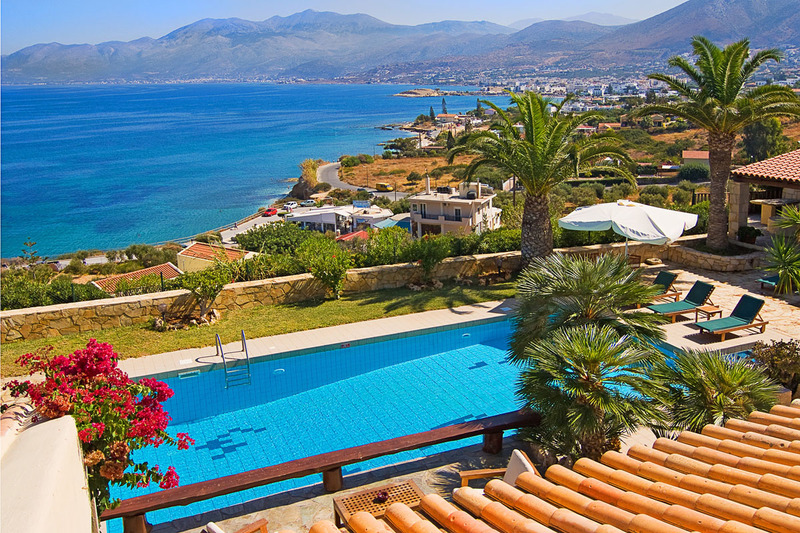 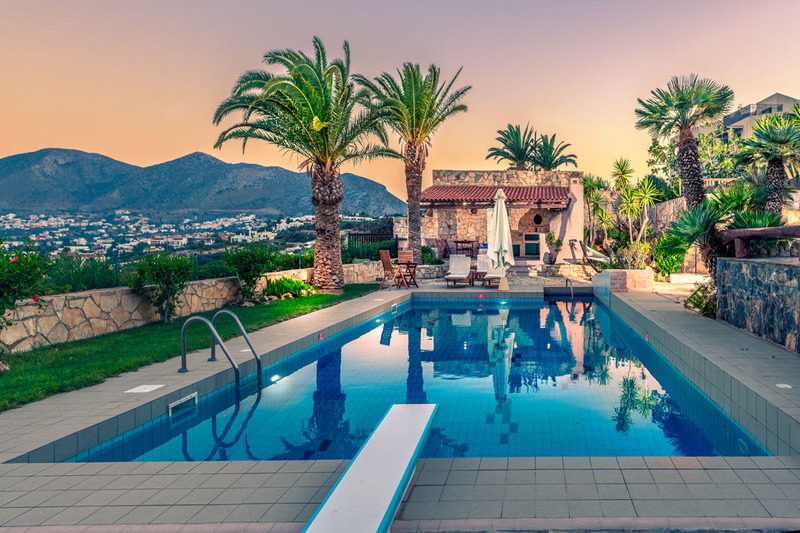 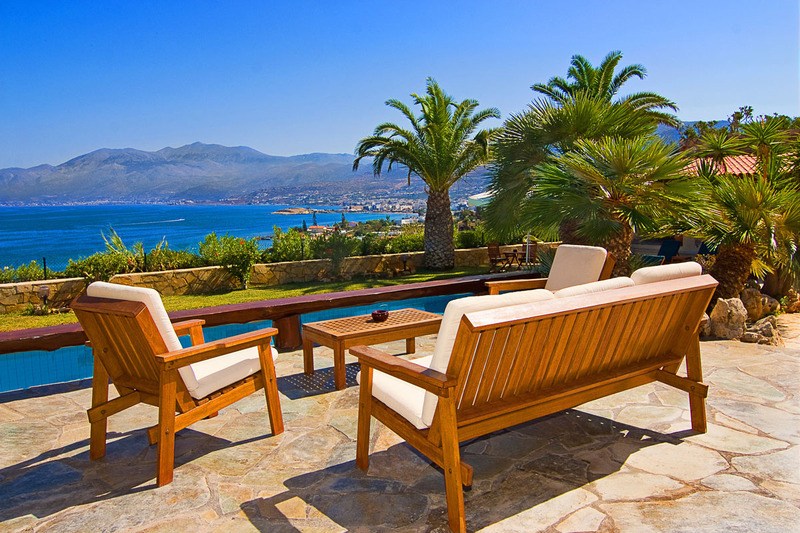 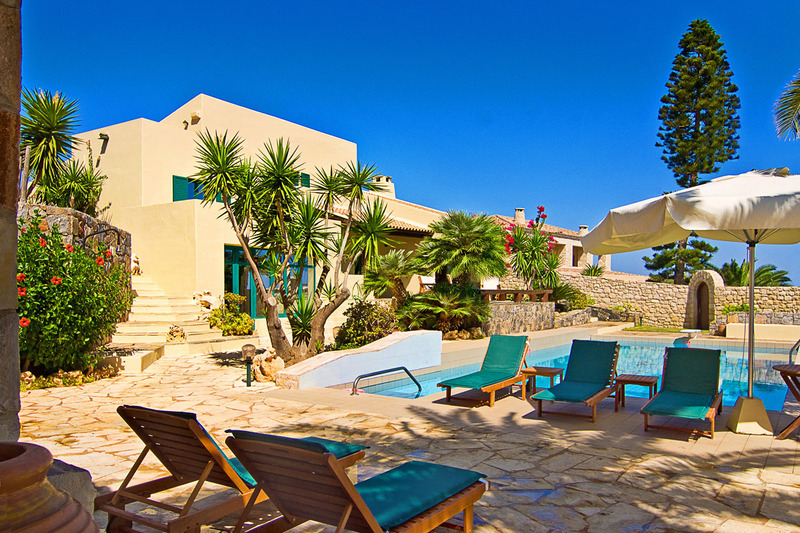 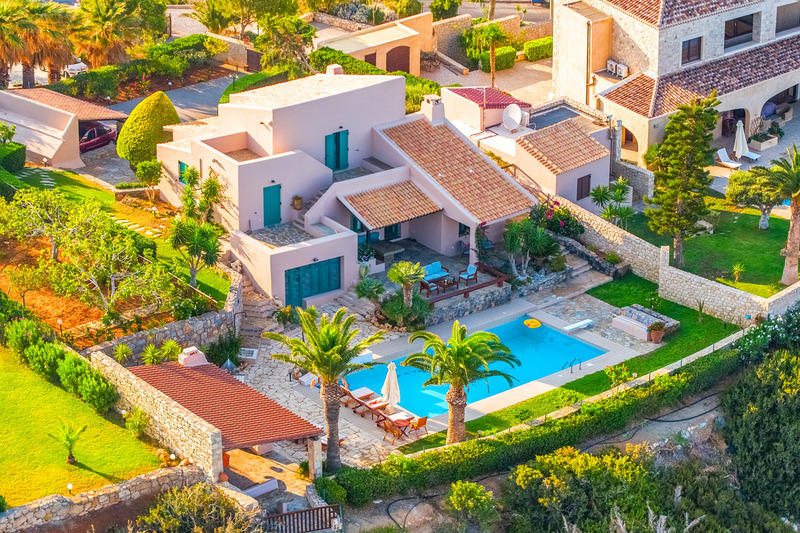 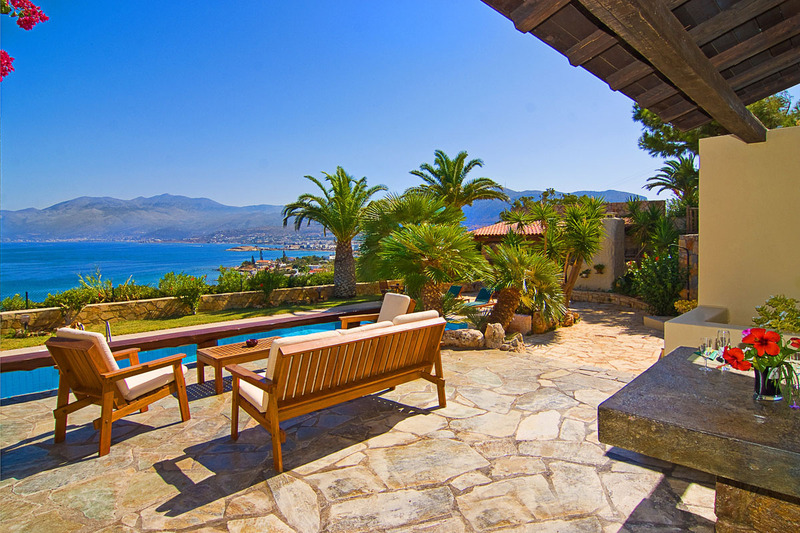 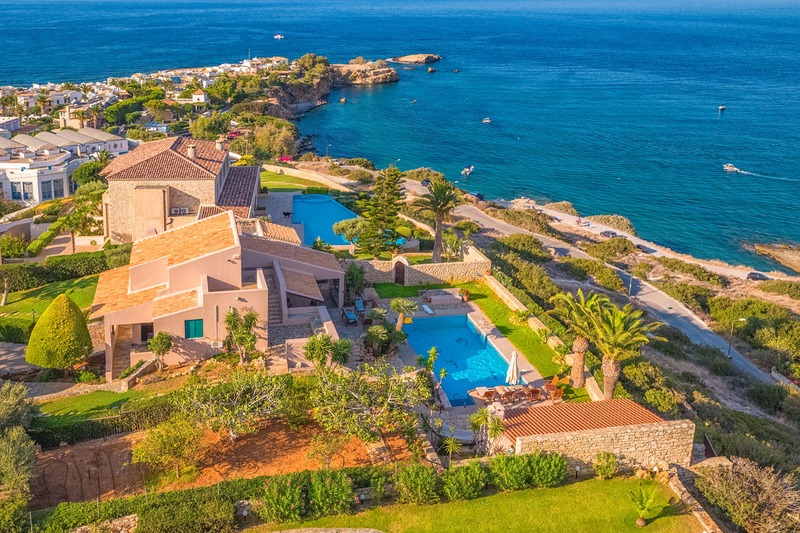 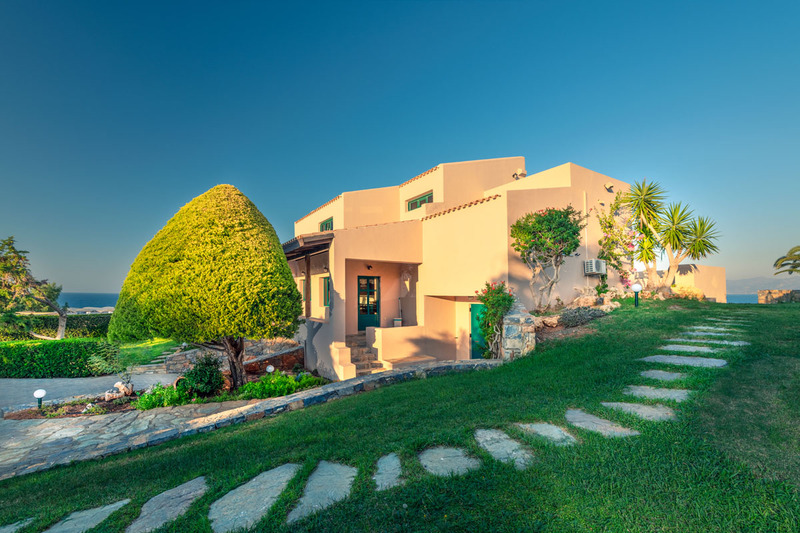 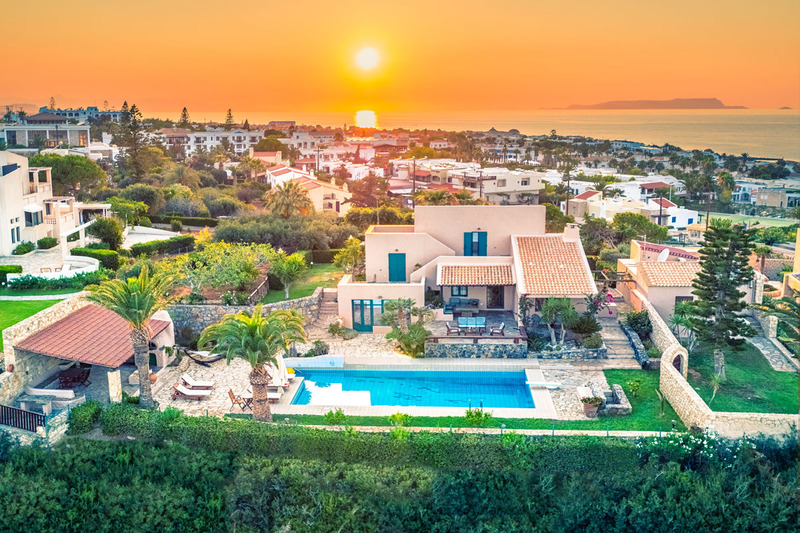 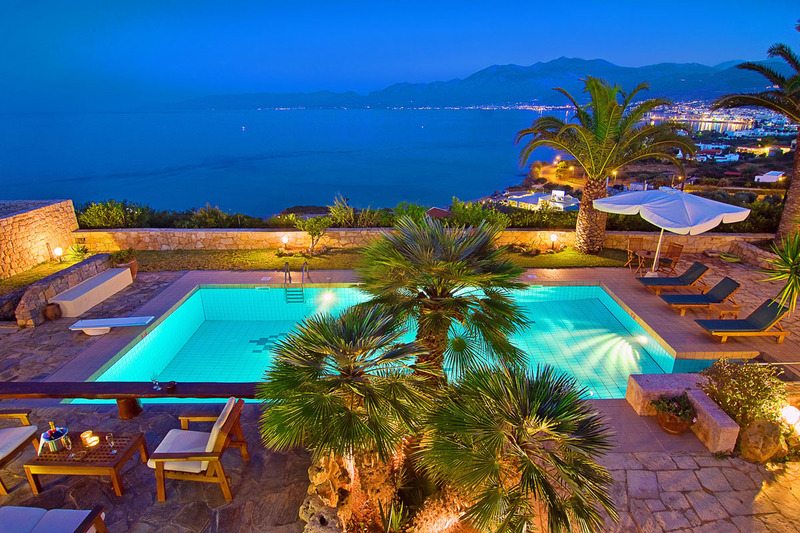 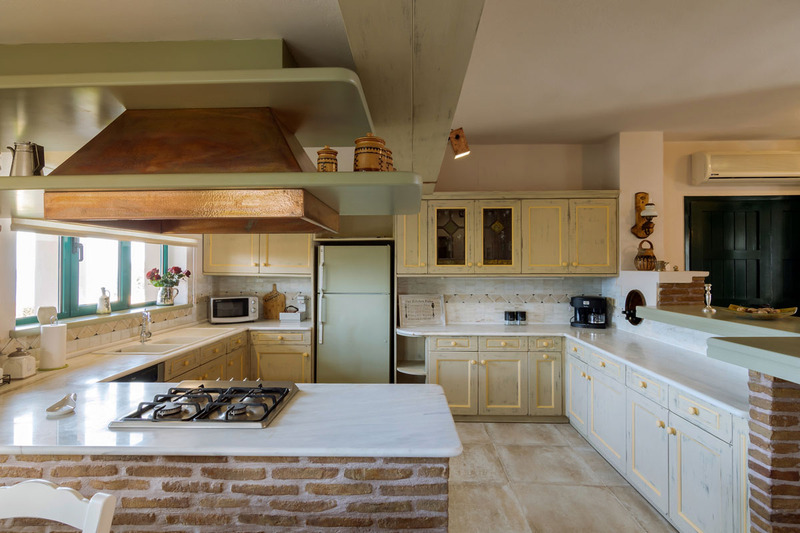 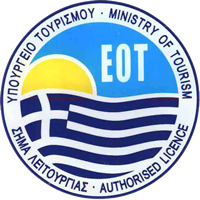 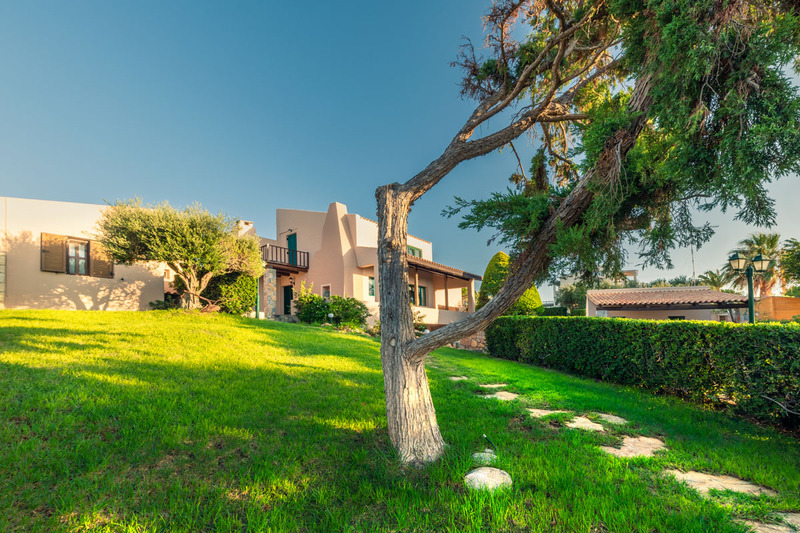 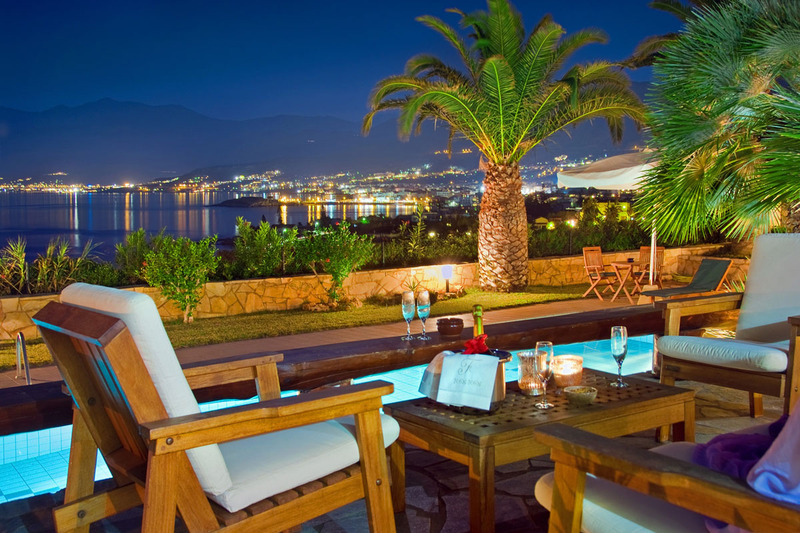 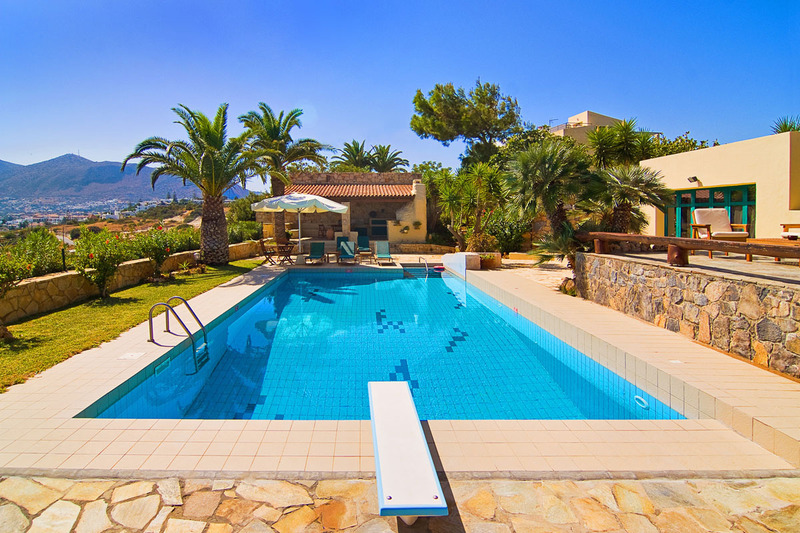 Villa Aqua offers amazing views of the area, the Hersonissos resort, the sea and mountains. 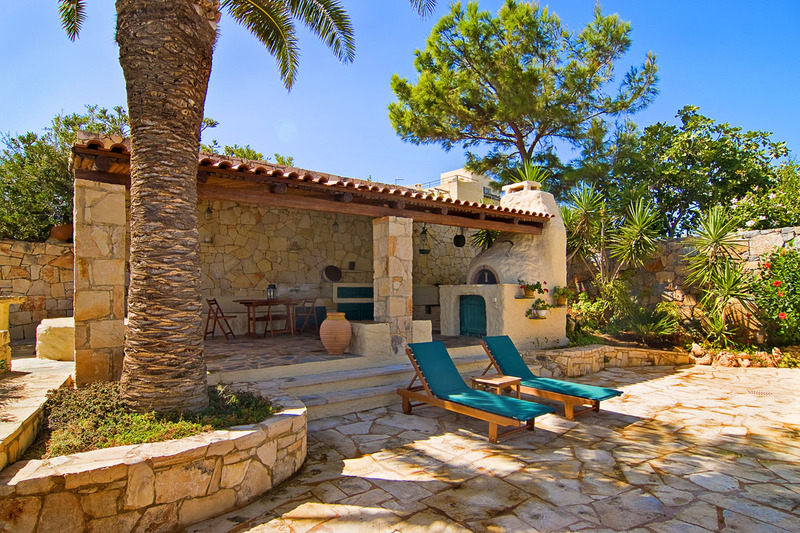 It has a big, 80sqm private swimmig pool with sunbeds and umbrellas and a lawn garden with trees and beautiful flowers. 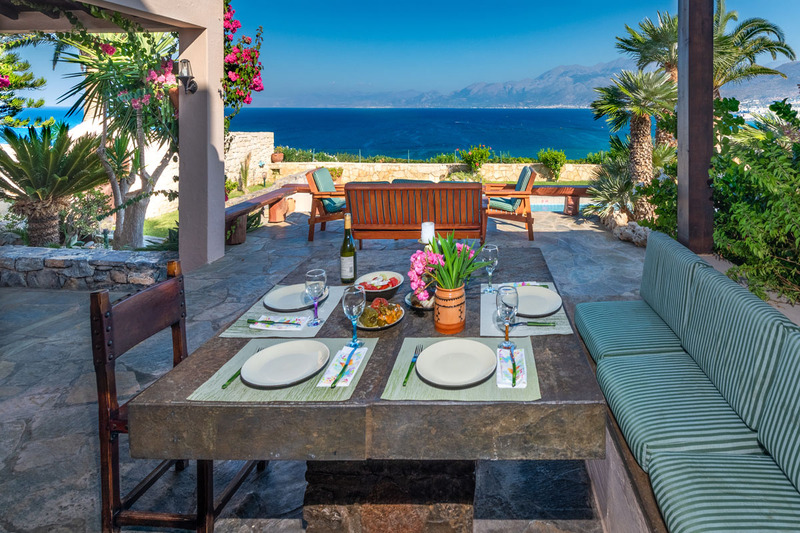 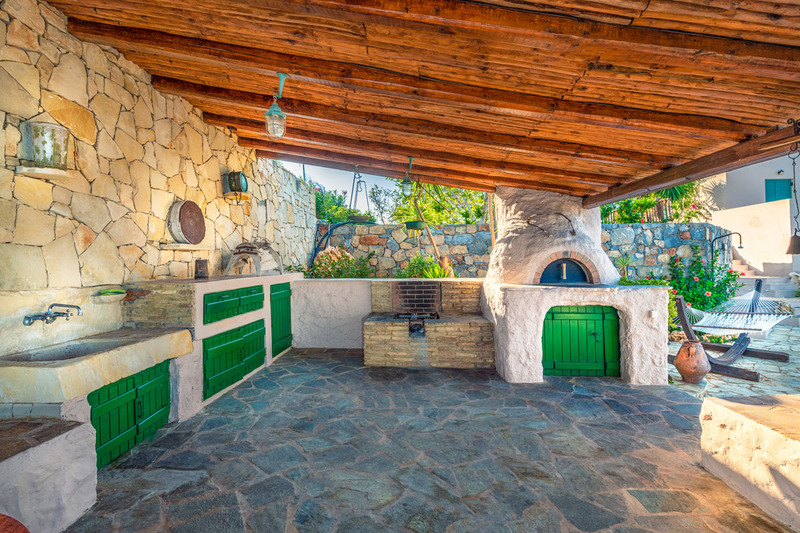 The villa is also equipped with a BBQ and offers a stone made dining table ideal to enjoy a meal with your loved ones.